Reliance Jio is offering free 8GB data to its customers as a gesture to celebrate the finale of this year’s IPL season which is scheduled for tomorrow i.e. May 27. The bonus data plan is being rolled out to select customers and should help them stream the crucial match between Chennai Super Kings and Sunrisers Hyderabad who will fight for the champion’s title in IPL 11. The offer is valid for customers who choose to or have already recharged with the Jio IPL pack that comes for Rs. 251. For this price, users receive benefits including 2GB of high-speed 4G data for a validity of 51 days (to mark 51 days of IPL 2018). There are no calling or SMS benefits in the pack. 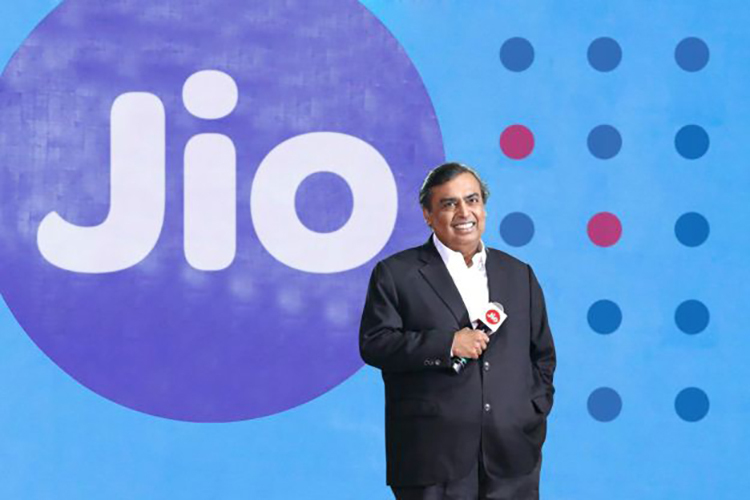 As an added benefit, Jio will be offering the Rs. 101 add-on pack for free to users who have recharge with the Rs. 251 pack or any other pack with higher value. Under the plan, Jio is giving away free 8GB data i.e. 2GB data per day for a period of 4 days. The best part is that you don’t have to do anything to activate the plan as it gets activated on its own. These free benefits can be used until May 30. 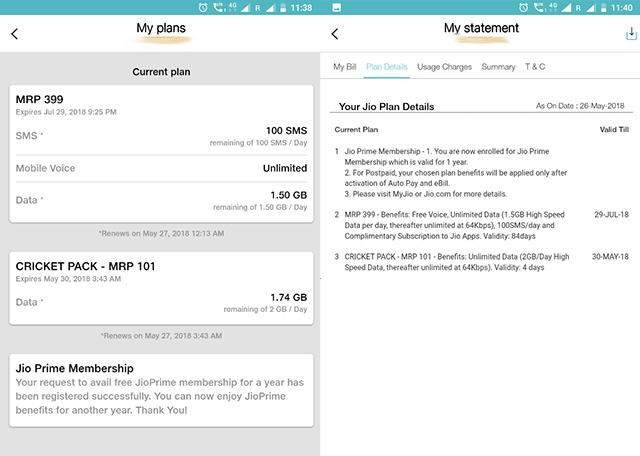 You can check for the available balance from “My Plans” in the MyJio app. The benefits will be carried forward to the next day if you do not use the data pack at all. So, you can reserve the benefits for the weekdays if you’re planning to stay at home for the IPL final and will be relying on your home Wi-Fi or TV instead. Just to clarify: while Jio wants you to use this data to watch IPL or stream other video content on the Jio TV app (which is free for all Jio users), you can utilize the data as it suits you. Once the free 2GB gets exhausted, you can also use the data from your account without paying anything extra. You can also enjoy the final in VR, thanks to Hotstar’s new application.